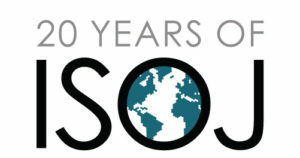 As we start our countdown to the 20th International Symposium on Online Journalism, we would like to share with you, our ISOJ friends, the news about preparations for our 20th anniversary. We are still thinking about the celebrations that will complement the “best journalism conference in the world” — as so many keep calling ISOJ — and will share more updates in upcoming newsletters. 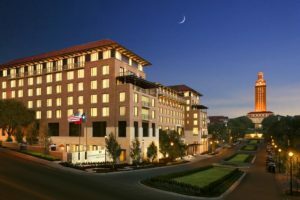 We have just set up agreements with two of the Austin hotels that are closest to the ISOJ venue, so you can go ahead and make your reservation, guaranteeing a discounted group rate. Remember that these hotels get full weeks before ISOJ. The third item below touches my heart in a very special way. In 2005, I introduced the academic research component of ISOJ for the first time. Until then, the conference had only professional journalism-focused panels. I added a second day to the conference and scheduled it specifically for the academic researchers. I was surprised and thrilled when both Len Apcar, the editor of NYTimes.com, and Jim Brady, the editor of WashingtonPost.com, decided to stay for the second day, paid close attention to the research presented, and challenged the researchers to cover a few issues that were relevant to the industry. But the other surprise that year was the presence of a couple of young BBC journalists. One of them was Alfred Hermida, who tells us in the video below how important ISOJ was in his decision to move from the newsroom in London to the classroom in Vancouver, where he has developed a brilliant career as a professor and researcher on online journalism. I hope you enjoy this newsletter, which is put together by the Knight Center for Journalism in the Americas’ assistant director Mallary Tenore. Please send us your feedback and get ready for ISOJ 2019! We hope you’ve marked your calendars for the 20th anniversary of the International Symposium on Online Journalism (ISOJ), which will take place from April 12-13, 2019 at the Blanton Museum of Art on the University of Texas at Austin’s campus. For those of you who will be traveling from afar, we have reserved a limited number of discounted group rates at two local hotels: the DoubleTree Suites Hotel and the AT&T Inn and Conference Center (pictured above). You can find more information about these hotels and other nearby hotels — along with transportation and parking details — on isoj.org. In recognition of our 20th anniversary, we’re digging into the ISOJ archives, which offer up a detailed look at the evolution of online journalism throughout the past two decades. “What is happening with people, the consumers, their attention spans are getting shorter, at least mine is. There are so many choices; I can go here, there, there, there. Journalism is going to have to adapt to that. We are going to have to figure out how to offer a lot of information to a lot of people and that means coming up with alliances. The New York Times will probably have to align itself with a major TV network with perhaps radio stations, perhaps with others, and combine those feeds into some sort of a new media. This is an ‘interim medium.’ What we are seeing now is just the tip of it. 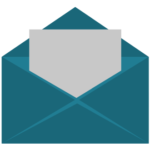 In the coming months, we’ll share updates about registration, ISOJ speakers, the program, etc. via this monthly newsletter, isoj.org, and our ISOJ Facebook and Twitter accounts. If you have any questions, please feel free to email us at knightcenter@austin.utexas.edu. We hope to see you in Austin in April!